Lorgnettes, glass and gold, c 1920s-c 1930s. 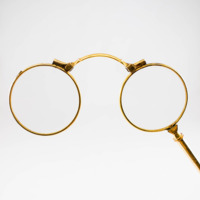 A lorgnette is a style of glasses where the lenses must be held in front of the eyes by a handle rather than worn on the face. 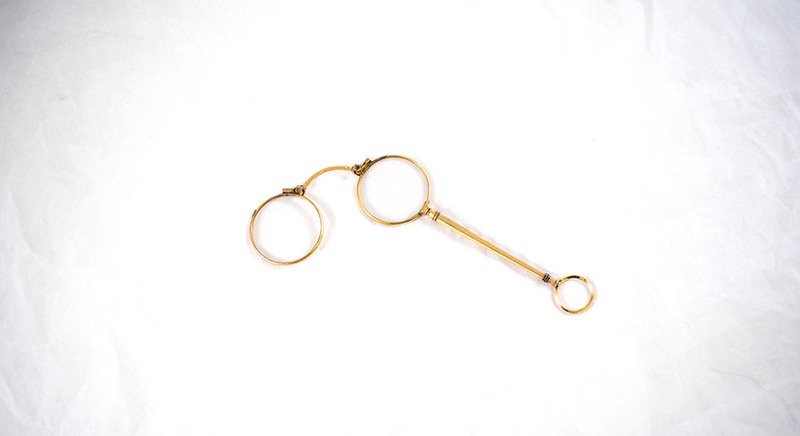 This lorgnette has a spring mechanism for easy storage in a pocket. Lorgnettes were classically worn by those of a higher class, especially whilst watching an opera! 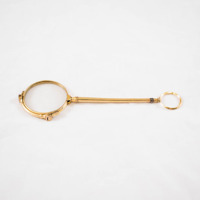 Unknown, “Lorgnette,” Heritage, accessed April 20, 2019, https://heritage.rcpsg.ac.uk/items/show/180. Description: Lorgnettes, glass and gold, c 1920s-c 1930s. 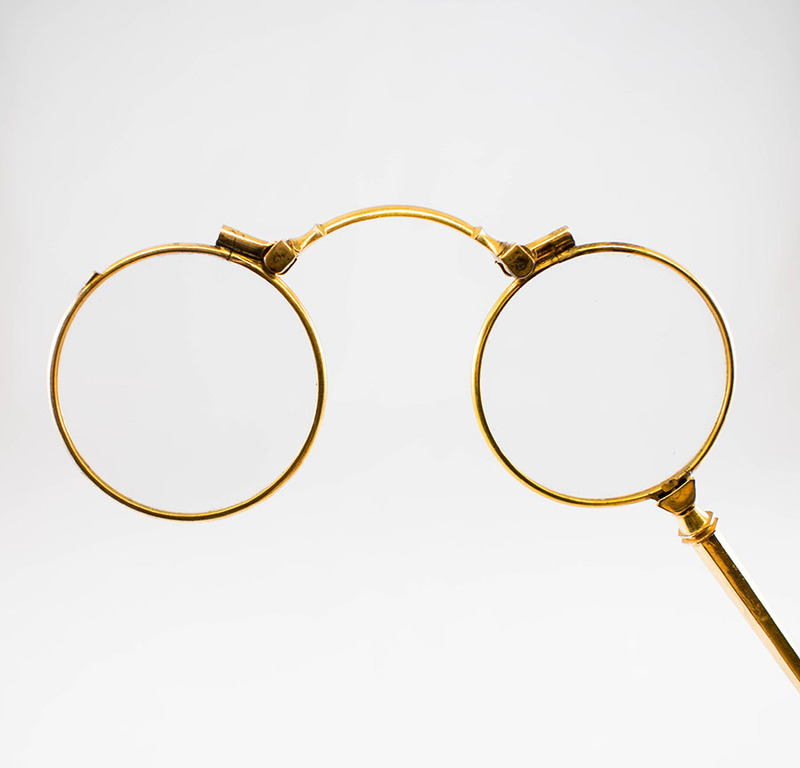 A lorgnette is a style of glasses where the lenses must be held in front of the eyes by a handle rather than worn on the face. 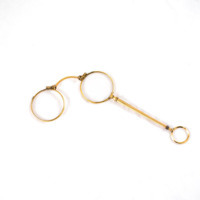 This lorgnette has a spring mechanism for easy storage in a pocket. 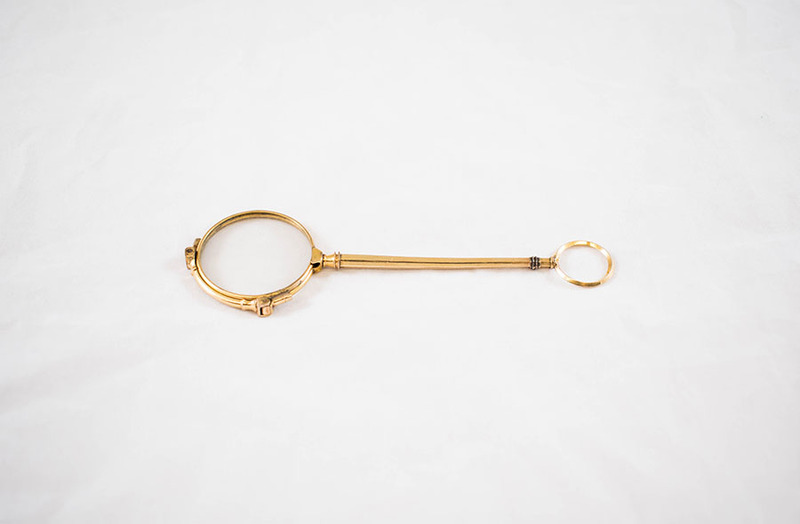 Lorgnettes were classically worn by those of a higher class, especially whilst watching an opera!